The Footpath Work Group, signed up to the Parish Paths Partnership (P3) with Essex County Council (ECC) in 2005. We get involved with surveying the Public Rights of Way (PROW). We concentrated initially on those PROW that accessed the Flitch Way, to try and get people more aware of these PROW and subsequently to start using them. After each PROW was surveyed we would then carry out any remedial action. ​The work included the erection of way markers, clearing of the paths and notifying ECC of any obstructions or problems. 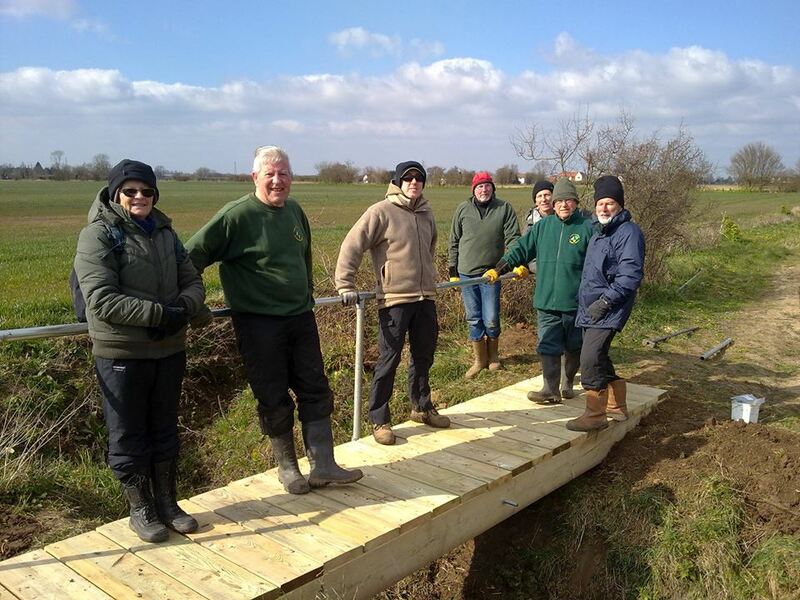 The Footpath Work Group has evolved since our inception and we have now become one of the roving groups that can be reliably called upon by ECC to carry out work over the whole of the County. We travel to where ever we are needed. ​The Public Rights of Way department contact us when work becomes available. We then have a look at the work involved and then agree a plan of action. All of our P3 work is checked by the Public Rights of Way Officer for that area. They give us the go ahead to carry out work, and ECC fund us for this work that we carry out. This is done by supplying us with the equipment needed for the work e.g. brush cutter, loppers, shears, spades, wrecking bar etc. A great deal of our work involves heavy clearance along footpaths that have become so overgrown that they cannot be used. Sometimes we have to install bridges, kissing gates and steps. Also we do have a lot of jobs that involve installing way marker posts to indicate the routes of footpaths. The group is made up of a team of up to 10 volunteers. We have all been trained on site for the tasks we are asked to carry out as Health and Safety is a very important part of our role. We never know where we are going from one week to the next, and that makes the work so much more interesting. You can keep up to date with where we are working and what we have been doing via the News page or Facebook.